Healthy exercise is demonstrably good for all creatures, with humans no exception. As we age we tend to not exercise as much as formerly. There are many reasons to explain this paradox which as that as we age we need exercise and movement to prevent joints and muscles seizing up. Movement increases the flow of blood around our bodies and brains which is a benefit for so many reasons. 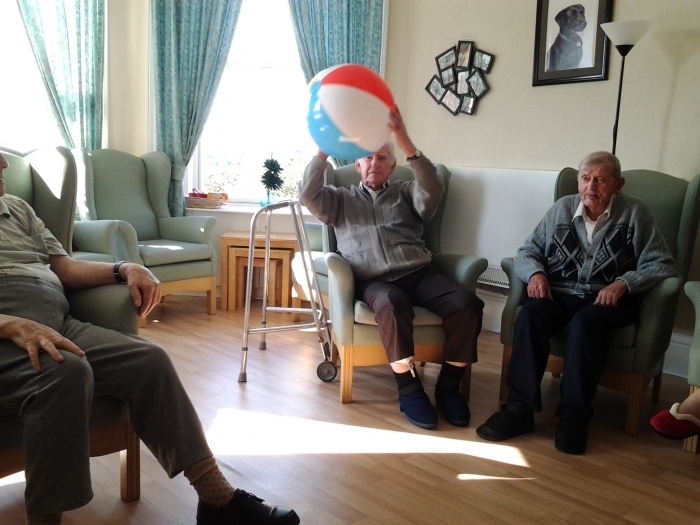 Naturally enough as we age, we have to refine our exercises, both the duration and intensity to prevent damage to our bodies. 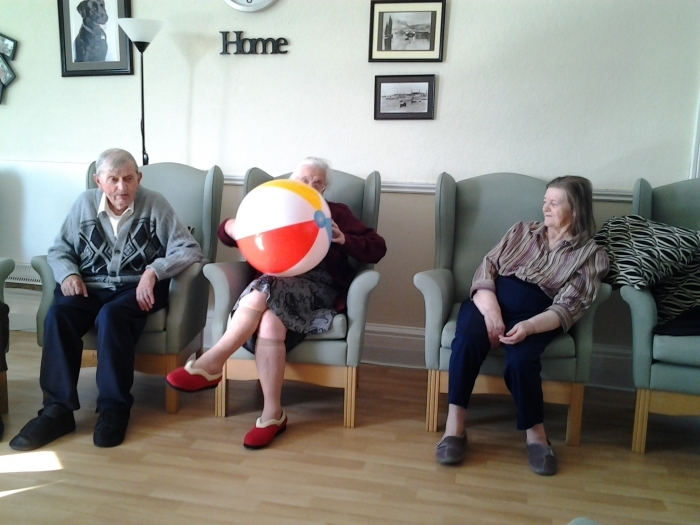 One particular form of exercise which residents love and enjoy is the catching and throwing of light beach balls. Our Activities Coordinator is here with an eager group of players. 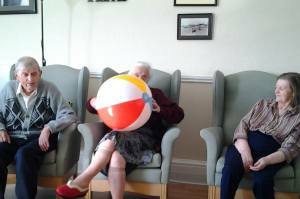 Watch Out The Volleyball Crowd!